My Character Design Workshop is today! I’m super excited about this event and if you’re in the Southeast Texas area, I’d love to see you there! If you’re not, I’ll be hosting more events like this in Atlanta starting this Fall if you happen to be there instead! 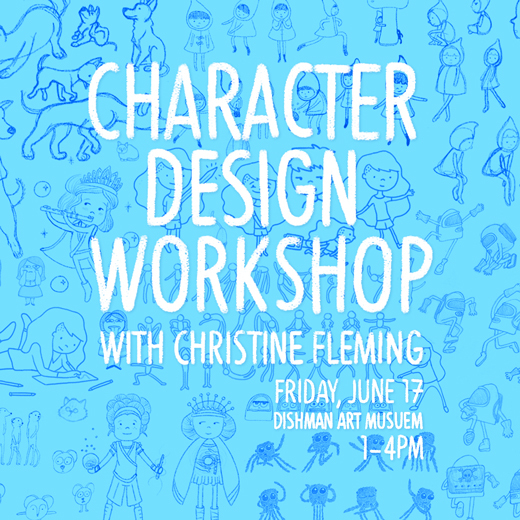 This workshop will help build confidence in your drawing skills and will give you tips and tools to improve your character designs! By the end of the workshop, you’ll have your own new character design for use in whatever you like to create whether it be books, comics, video games, or just random doodles! This FREE event is open to all skill levels, both students and professionals! So come out and get ready to draw! ALSO today, is my exhibition at the Dishman Art Museum! 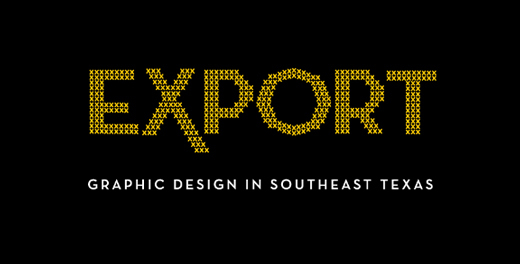 The exhibition is called Export: Graphic Design in Southeast Texas and includes work from myself and a group of other designers and artists in the Golden Triangle. I’ll have graphic design and illustration work on display. The opening reception is tonight from 6:30-8:30pm, and there will be live music, free food, and lots of art!